Step 5 - That's it! 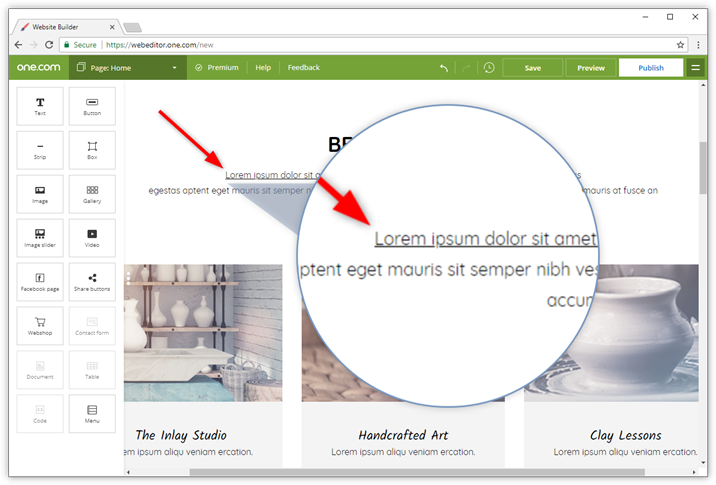 Click on the text component to select it and click the Edit text button that appears. Select the text that you want to make into a link. Click the link icon in the menu above or below the image. It looks like a chain. You can link to different items; choose where you want to link to. 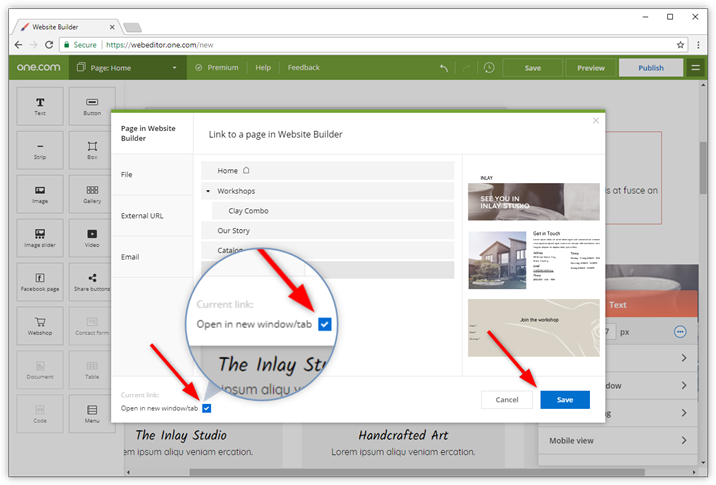 Page in Website Builder - Link to an existing page in Website Builder, for example your contact page. 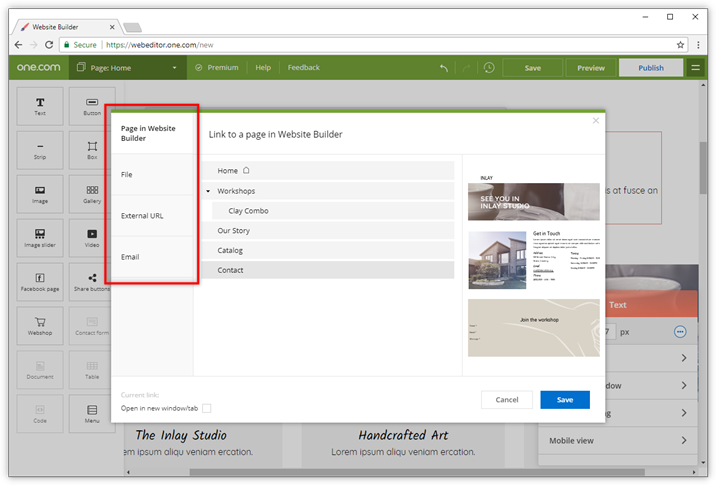 File - Link to a file that is shopd on your web space, for example a pdf with your terms of business. External URL - Link to another website, maybe to an interesting article or guide. Email - Enter an email address that you want to link to. If a visitor clicks this link a new email is started in the users default email program. You can choose to make the link open in a new browser window. 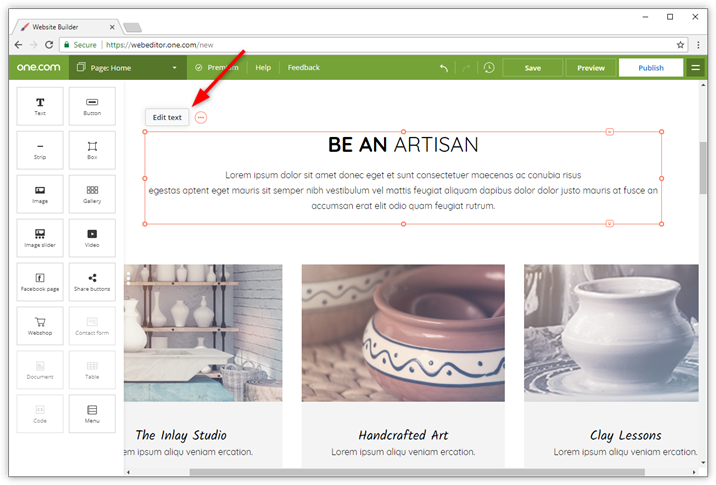 This can be a good idea if you are linking to an external site. That way your visitor still has your site opened. Check the box in the bottom left corner, if you want to open the link in a new tab. Click Save to create the link. The link is created, click Publish to make your changes available online. Tip: How the link looks is determined by your Global link styles.